Marjo Tal shunned publicity and rarely gave interviews. As a composer and a pianist she was solely concerned with creating and recreating music, and was subservient to this her entire life. The few magazine articles about her published through the years reveal her passionate and self-conscious artistry. Sparse photographic material shows a beautiful woman with sensual and melancholic features. Tal survived the war underground. Her career as a pianist peaked in the mid 1960s and she then focused more on composing. At the end of her life she emigrated to Israel. Marjo Tal was born in The Hague on January 15, 1915, the eldest of three daughters in a liberal Jewish family of orthodox origin. Very early on she showed musical talent and she received violin and piano lessons. The loss of her father, who had died from diabetes on Marjo's twelfth birthday, made that she saw in Sem Dresden, at that time her teacher in solfège, music theory and composition, a substitute father figure. On his advice she came, at the age of thirteen, into the care of concert pianist and pedagogue Nelly Wagenaar. For three years she lived in London, where she studied with the Jewish pianist Franz Osborn who had fled Berlin and was now a British citizen. She accompanied Carl Flesch's violin students, gave private concerts for the high society and auditioned for Myra Hess, who, however, told her: “You do not need me.” Back in the Netherlands Marjo Tal's official debut was on March 7, 1940 in a recital at the Diligentia Theatre in The Hague. She played, among others, Beethoven's Sonata op. 101. Her commitment to the work of this composer intensified in the course of her life and would leave a mark on her reputation. The reactions were very positive and there seemed to be a promising career on the horizon. However, the outbreak of World War II a few months later put this temporarily to an end. Marjo Tal never wanted to say much about the occupation years of the German Nazi regime. She gave clandestine concerts for as long possible, until the curtain fell. We can only guess what it meant for her to have to wear a yellow star, to deal with increasing restrictions and then to live in suddenly and ever-changing hiding places for three years, uncertain about her personal fate and that of her family. Obviously, practicing piano at that time was impossible and there was the threat of losing her accumulated skill. Her first compositions (two string trios, a quartet, a violin sonata and a cello sonata) were lost during her escape from a raid. It is not known whether she attempted to rewrite or reconstruct them. After the liberation, Tal, with much devotion, lovingly took care of her mother who, physically weak but mentally unbroken, had returned from the concentration camp Bergen-Belsen. Marjo's two sisters settled as pioneers in Israel. She made a living teaching and accompanying ballets and fashion shows, and benefitted from her improvisational talent. Much faster than she had expected, she was again “stage ready” and new opportunities arrived. The reviews again reveal her love for Beethoven's work. As an encore to a concert in October 1946, she improvised on the main theme of the third movement from his first symphony. Through the years her programming shows that she didn't make it easy for herself with her choice of sporadically performed works, for example, the Sonata in B minor by Liszt, Romanian Dances by Bartók, Julius Röntgen's Serenade in E, Mozart's unfinished Suite for piano KV 399, Beethoven's Bagatelles Op 119 and 126 and his thirty-three variations on a theme by Diabelli, Op 120. The latter composition would become Tal's musical credo. The critic J. Reichenfeld wrote about her interpretation: “In this hour, we lingered in the mountain range of music, where the air is thin. An ascetic landscape, harsh and grim [...], but also filled with frenzied tenderness and sparkling splendor.” An interesting historical CD recording was made around 1960 in the intimacy of her living room on the Koninginneweg in Amsterdam. Of course the sound quality leaves much to be desired; in the background an airplane can be heard twice, but the lack of studio facilities brings Tal’s playing very close. In 1947, the widow of conductor and composer Jan van Gilse, gave her his grand piano. This definitely contributed to the expansion of Tal’s career. Up until the late 1960s she performed as a soloist, with orchestra and in chamber music ensembles, at home and in England, France, Denmark, and each year in Israel for a three week period. Critics praised her distinctive style of playing, averse to routine. She was described as a pianist with a strong musical will, a mix of masculine toughness and feminine tenderness, battling for the most essential, a treasure hunter. She didn't stand out in virtuosity, but forced intense listening and acquired an audience of connoisseurs. In the mid 1960s, an impresario offered her an extensive, well-paid tour to Germany and Austria. Tal would have loved to make such a concert tour, but exactly in that part of Europe where National Socialism had developed and led to the Holocaust ... she didn't have to think twice to decline. Hereafter engagements occurred less frequently. Also her aversion to increasing commercialization and psychological tension linked to the stage, began to take their toll. Marjo Tal was well aware that the peak of her relatively short career as a concert pianist was over. She decided to change course by focusing on her creative talent and to develop further as a composer. Already in the 1940s and 1950s she had set music to some two hundred French poems (including Paul Fort, Robert Desnos, Louis Aragon, Guillaume Apollinaire, Raymond Queneau and Jacques Prévert), in a style akin to the popular French chanson. Approximately one hundred and fifty have been preserved. When the French singing quartet “Les Frères Jacques,” was on tour in the Netherlands, they added a few of her chansons to their repertoire and brought Tal into contact with Jacques Prévert. This well-known poet and author of books and scenarios was so excited about Tal's chansons littéraires that he gave her permission to use any material from his complete works. In those years she went in her own words “like a traveling salesman” back and forth between Amsterdam and Paris to get authorization for her usage of the texts. A special friendship developed with Prévert, mainly expressed in the small gesture: he regularly telephoned from Paris to find out how the weather was in Amsterdam … In France, Tal's chansons had a following and were performed by, among others, singer Catherine Sauvage accompanied by Jacques Loussier on piano. Ten of her Prévert chansons were published by Ray Ventura in 1957. In the Netherlands Tal's chansons were first performed by Conny Stuart, Toon Hermans and Henriette Klautz. In the late 1980s, the French chansonnier Philippe Elan, in collaboration with the Gemini Ensemble and in 2002 the duo Patricia Werner Leanse and Patrick Hopper advocated her work. Although she was not trained as a singer, Tal started performing her songs herself. Alarming the conservative members of the audience and delighting her fans, she introduced something entirely new in the 1950s: before the intermission she performed classical works, and afterwards, she accompanied herself on the piano with her chansons. With her low voice, impeccable French pronunciation and facial expressions she was convincing as diseuse, more speaking than singing. 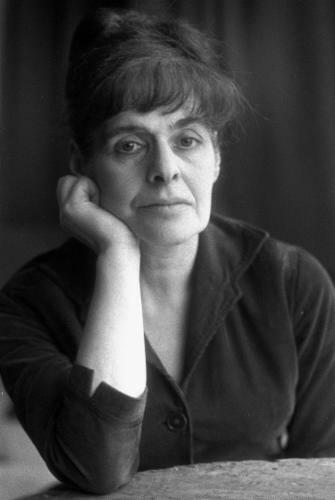 In the 1970s Marjo Tal moved away from the chanson and started using a more free and personal form of setting poems to music. She was well-read, loved poetry and had a refined literary taste. Close at hand on a mahogany side table were the books of major interest to her at that moment. Her starting point was: there are poems so good and complete, that you shouldn't touch them. There are poems you don't like. And there are poems you can combine with music, to enhance and glorify the expression of the text. An encounter between music and language. Sound that follows the words like a chameleon adjusting each hue. Several song cycles emerged, set to works by Russian, French, English, Spanish, South African and Dutch poets (such as Osip Mandelstam, Anna Akhmatova, Rupert Brooke, Elisabeth Eybers, Federico Garcia Lorca, JH Leopold and Jan Engelman). Tal's art song style is contemporary and varied, an idiom that is always tonal and personal. She became friends with the much younger avant-garde composer Konrad Boehmer, whom she met in the mid 1970s at the Society of Dutch Composers and he described her work as “completely independent.” It is not easy to find influences from other composers, but here and there, a sort of kinship to Ravel is certainly perceivable. Marjo Tal can be situatied between the generation of Dutch women composers Henriëtte Bosmans (1895-1952) and Tera de Marez Oyens (1932-1996). With baritone Meinard Kraak, Tal performed her own works. In May 1987, a tribute was organized by the Foundation De Suite in the Ijsbreker concert hall, with young, still unknown musicians performing a number of her songs cycles. Interestingly, Tal made no difference in value between popular and serious music, for example, between cabaret songs and Schubert's lieder. Her standard was the quality; music had to come from a true, creative source and it had to be crafted skillfully. Her personal taste was also surprisingly wide, ranging from the classical repertoire to jazz recordings by Fats Waller and Oscar Peterson. In the autumn of 1988, Marjo Tal emigrated quietly and for many around her, rather suddenly to Israel. Her elderly mother was now deceased, the Dutch music scene didn't fascinate her anymore, and as she grew older, the desire to be closer to her family increased. Decisively she announced to go: "To the Levant" and that she would never come back. Whoever wanted to see her, would have to visit her there! This attitude was typical of her personality. Whoever or whatever she liked, she embraced wholeheartedly, but she could as well be radically harsh in rejections. Through the years, her small apartment in Jerusalem breathed the same welcoming, artistic atmosphere of her rooms in Amsterdam, and became a haven for the friends who indeed came to visit. Publicly, Marjo Tal never had a visible romantic relationship, but love certainly didn't pass her by. She sometimes hinted of a great, tragically ended love affair during wartime, but this subject always remained shrouded in mystery. Although she could not attend the premiere, Tal was very pleased with the performance by Marjanne Kweksilber and Frans van Ruth of her Canzonen (five songs on poems by Esther Blom), on September 15, 1997, in Amsterdam Uilenburger Synagogue. This would be her last composition, because her plan to set Hebrew texts to music was never carried out. In the last five years of her life her mind became obscure as a consequence of Alzheimer's disease. Marjo Tal died on August 27, 2006, leaving behind an inspirational and genuine oeuvre.